Join me again this summer for the Aurora Public Schools Breakfast Club! Sessions will be from 9am-10 am in room 404 at Aurora High School. Room 404 is the former distance learning room and is labeled "W21" on the outside door. Park right outside the room! Sessions will NOT be "sit and get" so bring your devices. See session dates and descriptions below. Scroll to bottom of page and sign up to receive reminders about sessions and cancellations if needed. As their slogan says, "It's time for something different!" Come participate in an actual Breakout EDU game. Once we have completed the game, I will teach you how to find games, set them up and then share some tips and tricks I have learned from playing Breakout games with our students. What are you going to do when you drop your phone in the toilet and realize you just lost all of the photos you had on their because you didn't back them up? Come join me and I will teach you the basics of Google Photos. You get FREE, unlimited storage and have the ability to create animations, collages and do some basic editing to your photos. Come see how easy it is to manage the photos you are taking with your devices. Let's dig into some of the tools you have available to you with your school issued Google Apps for Education account. Quit saving stuff on a thumb drive or to the school's server. Let me teach you how to access your information from any device 24/7. We'll dig into Google Drive, Google Slides and Google Draw and even more! ​Look at this as a refresher course. A chance to tune-up your educational technology skills. Afraid to ask an #edtech question for fear of feeling silly? Come ask! Don't know how to create QR codes? Come learn. Don't know how to App Smash? Come and create! I will answer your questions during this session and share some of my "basic things should know and be doing" with the technology we have available to us. eBackpack is gone. What do we do now? Use Google Classroom! You can use Google Classroom to administer quizzes, send out announcements, hold online discussions and collect work from your students. We will walk through the basics of setting up Google Classroom. It's easy to learn and easy to set up! Let's get ready for the 2016-2017 school year, it's going to be here before we know it! It's no secret. We use a lot of paper at Aurora Public Schools. A lot of that paper we send home gets thrown away. WHY not post those assignments to Seesaw? I consider Seesaw a "must have" app for every classroom. Parents can immediately see what their child posts to Seesaw. Seesaw is the best app when it comes to making your students' thinking visible. Come and get your classes set up today! George Couros is a Canadian educator, administrator and speaker who specializes in the areas of innovative leadership, teaching and learning. His book, The Innovator’s Mindset, encourages teachers and administrators to empower their learners to wonder, to explore and to become forward thinking leaders. His book offers practical examples of how educators can foster innovation in themselves and in their students. The book study will take place online using the app/site Seesaw. Participants will be able to write, draw, photograph, talk or even video their reflections using Seesaw. Participants will be required to self reflect as well as comment on other’s reflections. If interested in joining this book study, please FILL OUT THIS FORM. I will send the QR Code to sign into our Seesaw account on June 5th. MINIMUM OF 5 PARTICIPANTS REQUIRED! The book study will start on June 6 and will conclude July 31. You will need to purchase a copy of the book to participate. 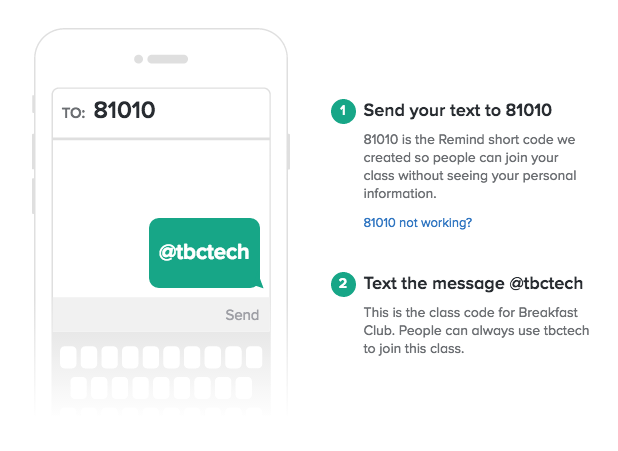 Please sign up for the REMIND account that I created for The Breakfast Club participants. I am going to do my best to stick to the schedule, but if I do have to cancel a session, I need to notify you! Please take a minute to sign up!